*Order copies at www.telos.co.uk (in the Other Non Fiction section). Vincent Chong burst onto the horror and fantasy scene several years ago with a sequence of incredible artworks. Since then he has gone on to provide cover artwork for authors such as Stephen King, and has worked with publishers all around the world, as well as providing illustration for record covers and websites. Now some of his incredible artwork is collected in ALTERED VISIONS. 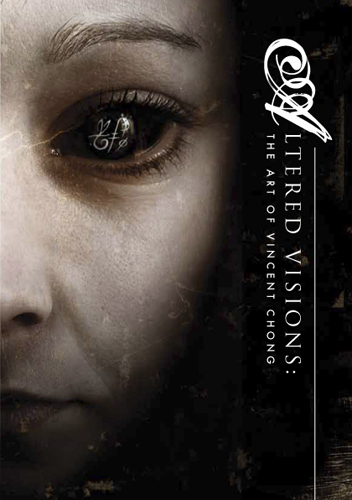 ALTERED VISIONS is being published by Telos Publishing as an A5, full colour hardback edition. The book is additionally signed by Vincent Chong and Simon Clark, and is being published for the World Horror Convention 2010. Copies are expected to be limited, so please order soon to avoid disappointment. *Winner of the British Fantasy Award for Best Non Fiction in 2011.